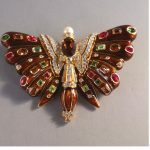 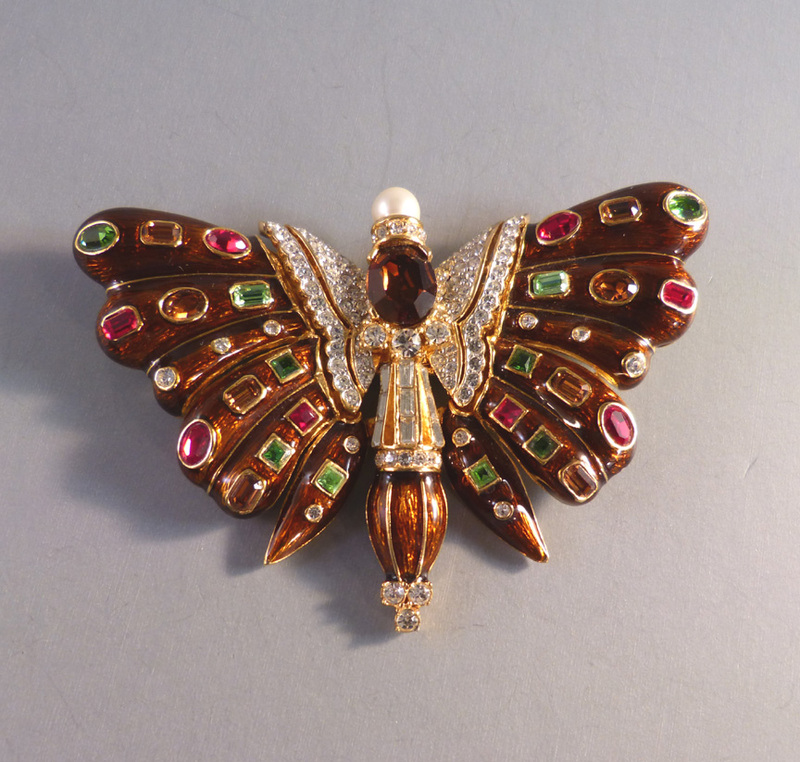 CINER rich caramel colored enameled butterfly brooch with rose, green and clear rhinestones set in gold tone metal and an artificial pearl atop the head, 3-1/2" by 2-1/2". 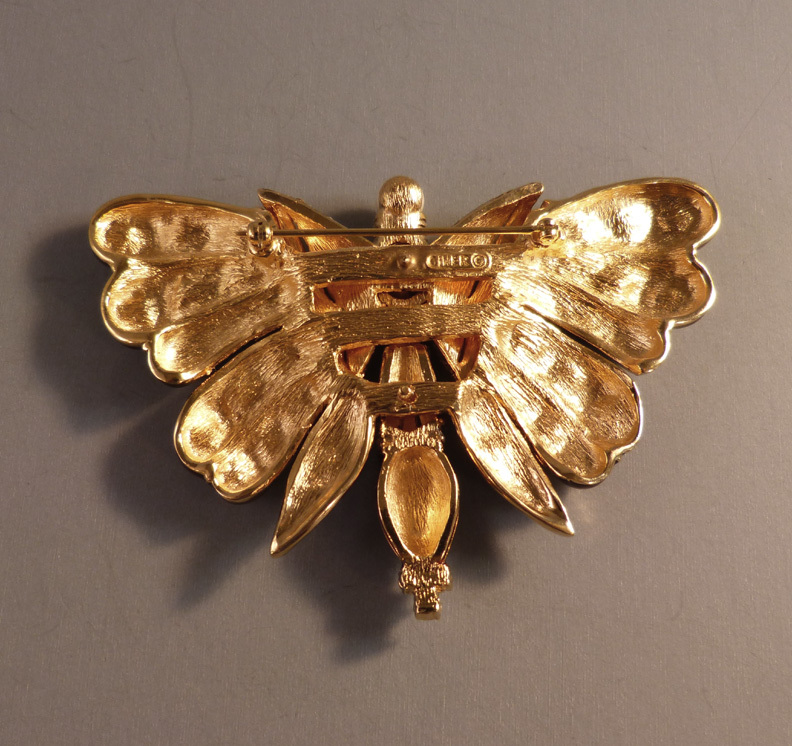 It is signed on the back "Ciner" with the copyright mark and shows the quality for which Ciner is known. 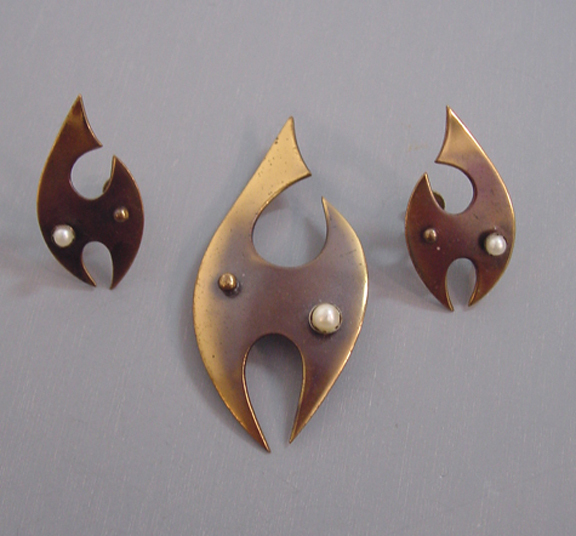 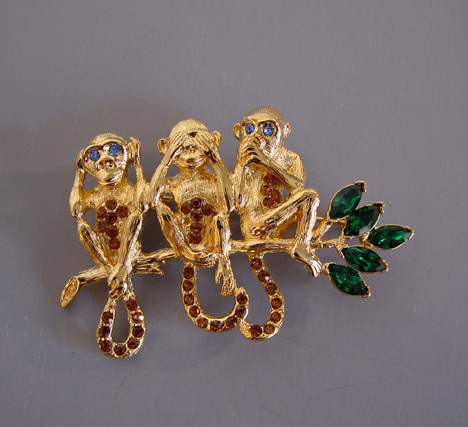 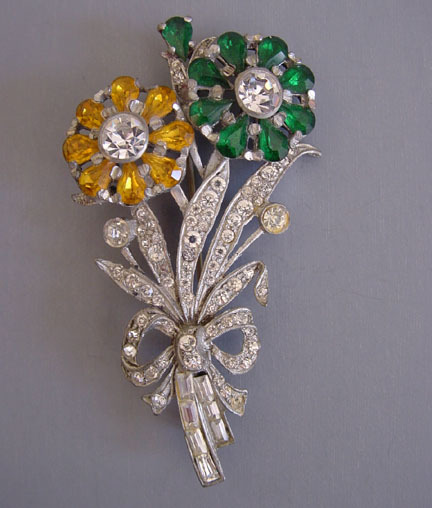 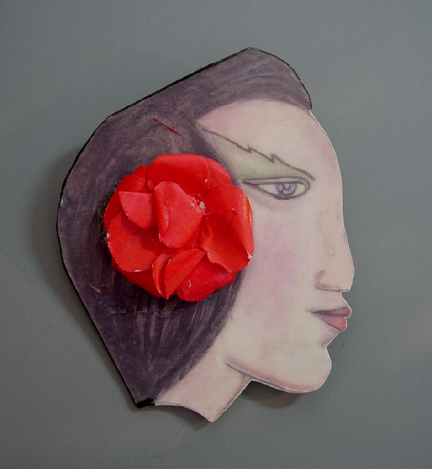 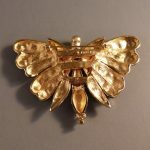 This large brooch is one of my Ciner favorites and was made circa 2000.